You need to be prepared for compliance reviews or e-discovery cases – and that includes chat data from your employees, regardless of whether it’s stored on-premises or in the cloud. 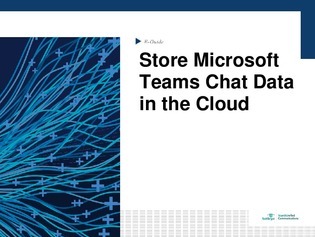 Microsoft will now facilitate the electronic discovery of Microsoft Teams chats, specifically for businesses with on-prem Exchange mailboxes. Additionally, you can find information on the difficulties regarding governance policies, how they affect digital transformation speeds, and what you can do to streamline the transition.